I am not meant for you. while turning themselves inside out. or avoid diving head first into painful and complicated things. unusual, abstruse seem made for me. you and I are not the same. I accept people who do not care to accept me. but I will not apologize for being someone unpredictable. 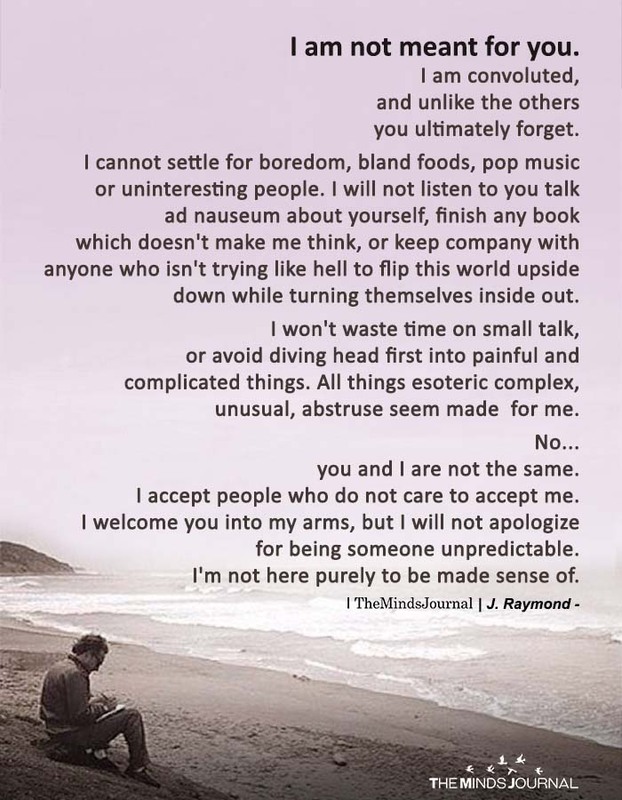 I’m not here purely to be made sense of.